The holidays are just around the corner and here we are racking our brains to come up with the best unique gift ideas we can come up with. Some prefer the usual routes of gift giving: gift certificates, shirts, kitchenware, or holiday cards. These are all good options as they have been tried and tested to both wow and please our loved ones. However, for this Christmas, let's try to up our game and come up with unusual but equally surprising Christmas gifts. We have searched the corners of the internet to bring you some of the interesting finds you might want to consider. Best way to start the list is a reinvented version of your commercial holiday cards. What better way to send holiday wishes and love to someone you care about than a personalized handwritten card with your well-wishes? Start-off with crafty papers, calligraphy pens, foil pen and sheets, and crafty pins or emblems. Star Wars fans will definitely enjoy seeing this gift for Christmas. 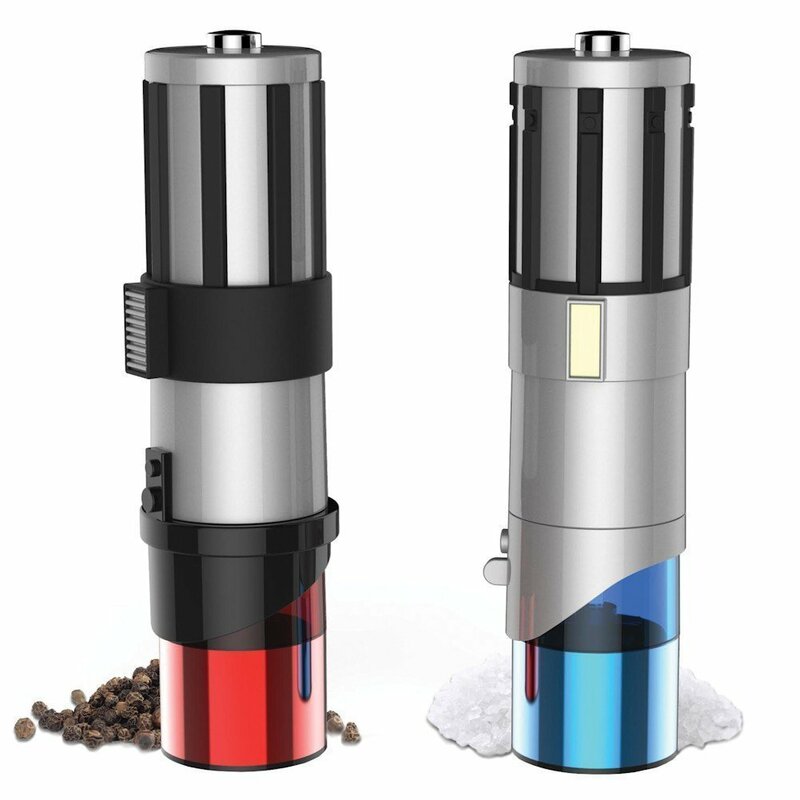 The set includes blue and red lightsabers that light up and easily adjust to grind both fine and course ingredients. The mechanism inside the grinders is made of ceramic and high-quality stainless steel. Let your loved one be the Jedi they've always dreamed of with these cool addition in their home. The perfect gift for the coffee lover who loves the outdoors or just that loved one who can't get through the day without coffee! The Minispresso GR is a handheld espresso machine that works well with any ground coffee beans. Your loved one may truly enjoy a road trip or a shopping day out with this handy coffee machine! Here's a gift idea for the loved one who loves to drive around and always on the go. Surprise him/her with this Hummer Jump Starter Power Bank that can resurrect dead batteries of car, jet skis, or speedboats. It doubles as a power bank that can recharge any smartphone. Also, it can power up any 12V electrical devices such as a vacuum cleaner, air compressor, tyre inflator, waxer or polisher. It's perfect when your loved one is out on the road or if s/he just needs to power up any equipment without messy extension cables. Surprise a friend with the gift of relaxation within reach. The Ionmax Serene Essential Oils reintroduces moisture into the air to help maintain a comfortable humidity level inside the home. With this little bundle, you can give your loved one a soothing and therapeutic atmosphere anytime inside the comforts of their room. What a sweet, thoughtful, and unique gift idea for the holidays! The AlcoSense Volt breathalyser is designed for people with an active lifestyle. It perfectly works as a breathalyser and a power bank. Your family and friends who love to party or to enjoy a drink or two can head out without worrying about an empty battery or driving beyond legal limits. Plus, it also features a built-in thermometer that shows the outside temperature before they hit the road. Imagine this, you're getting your loved one a tiny product jam-packed with the power of four gadgets. Can’t get any better than that, right?